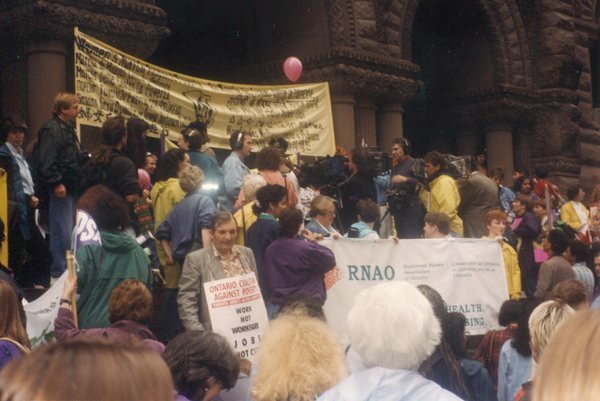 Image depicts participants mid-march. 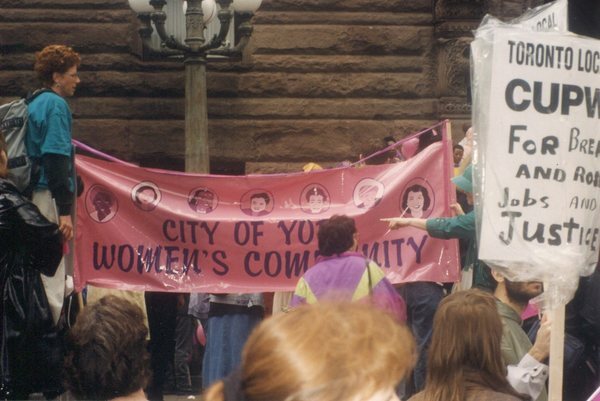 The City of York Women's Community banner is visible, as is a poster reading "TORONTO LOCAL CUPW SHAME!" 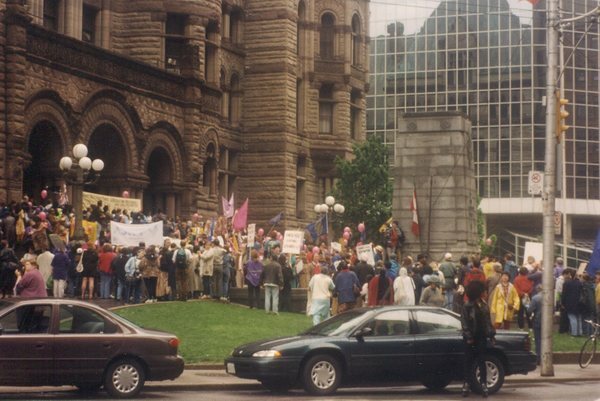 Photograph depicts the march stopping at Old City Hall. Participants are holding signs and banners, their backs are mostly to the camera. 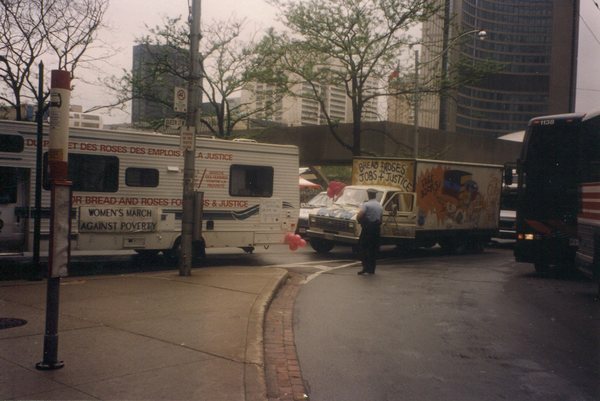 Photograph depicts a Bread and Roses trailer and truck at the Women's March Against Poverty. The slogan on the truck reads: "Bread & Roses, Jobs & Justice". There is a City of Toronto police officer standing in the foreground. 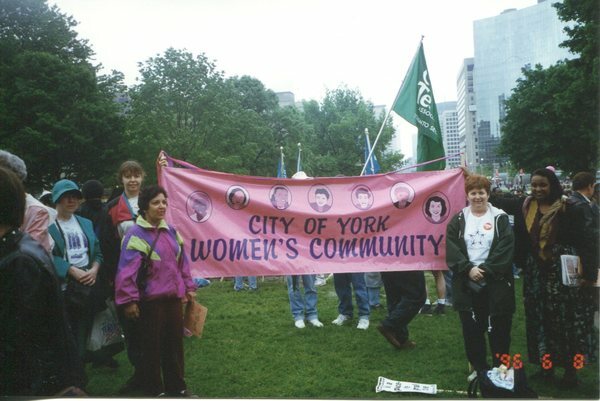 Photograph depicts participants in the Women's March Against Poverty holding the City of York Women's Community's pink banner and a CUPW sign. 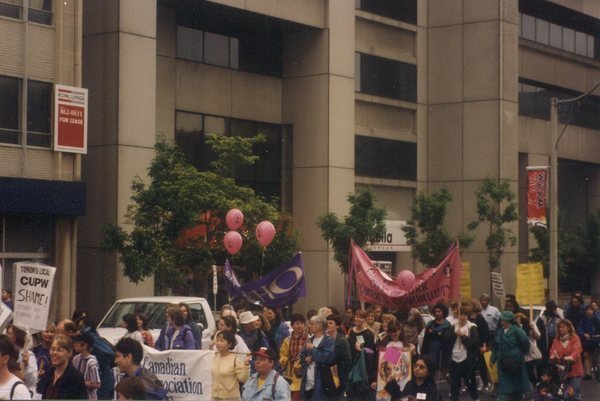 The CUPW sign (likely) reads: "For Bread and Roses, Jobs and Justice". 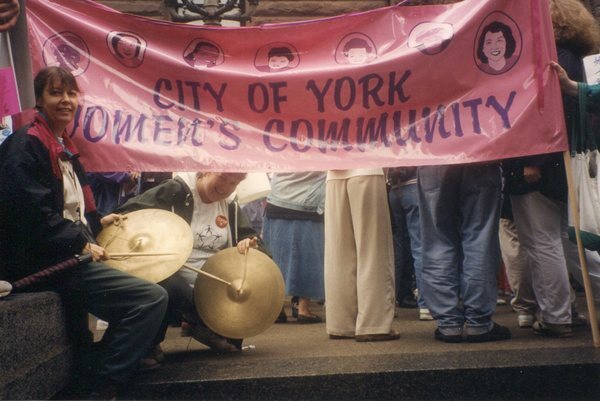 Photograph depicts women from the City of York Women's Community holding their pink banner and cymbals - ready to make some noise! 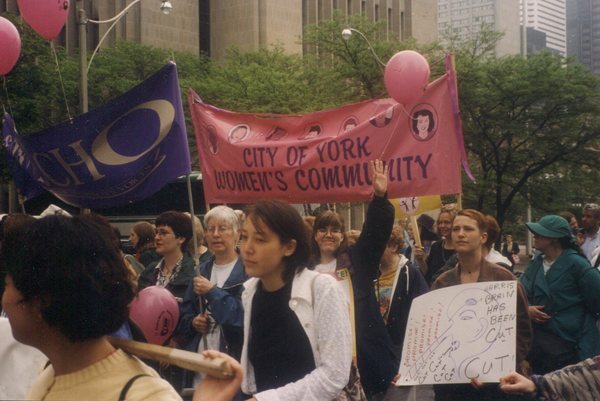 The photograph depicts City of York protestors marching while holding the pink 'City of York Women's Community' banner, and a homemade placard reading: "Harris brain has been cut!"